Last Sunday the Atlanta Thrashers gave back to the community by holding their annual charity event, The Atlanta Thrashers Casino Night, at Opera Night Club! The players gambled with the public to raise money to improve the lives of children in need. Ultimately, it was a great night and a huge success for the Atlanta Thrashers Foundation! The event was a black-tie affair, so the beautifully dressed guests began arriving at 6 pm when the doors opened. 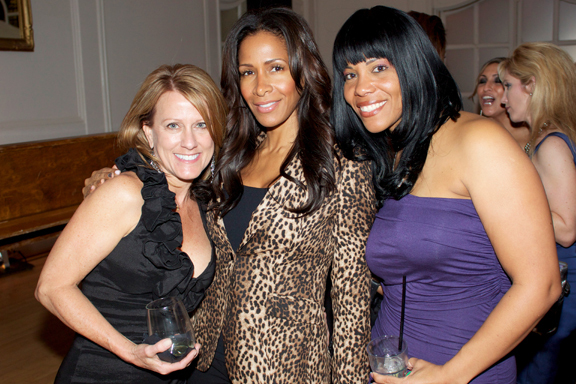 Guests immediately started enjoying delicious drinks and fine food catered by some of Atlanta’s best restaurants. Around 6:45 pm the team mounted the stage and was introduced to their public guests. After the brief introduction, the Thrashers and Lethal Rhythms were able to really get the party started! As the energetic music loosened everyone up, the players left the stage and each claimed their own blackjack table. For the majority of the event, the players gambled with the public to raise money for charity. Throughout the night, guests were able to participate in a silent auction to help raise money as well. The Thrashers had lots of great stuff for people to bid on ranging from signed hockey jerseys and sticks to cross-country trips for two! 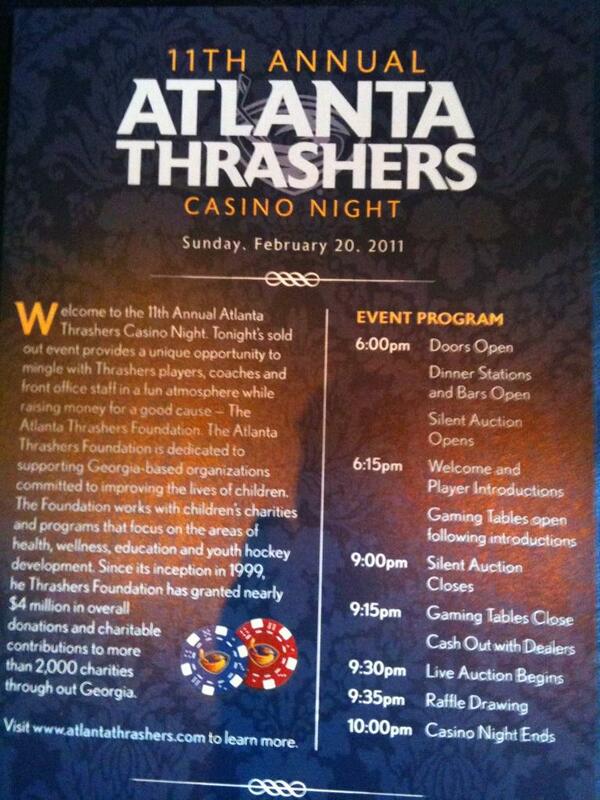 Overall, The Atlanta Thrashers Casino Night was an enormous success! Lethal Rhythms entertained all night, setting a fun and high-energy vibe! Money was raised for a great cause, and everyone had a wonderful time gambling, mingling, and listening to great music of Joel Rabe. Lethal Rhythms was truly happy to have been part of such an incredible night! Sponsors include Home Depot, Philips, Georgia’s Own Credit Union, Jim Ellis Audi, Concentrix Restaurant Group and Belk. Special thanks to A Legendary Event, who designed the décor for the evening! 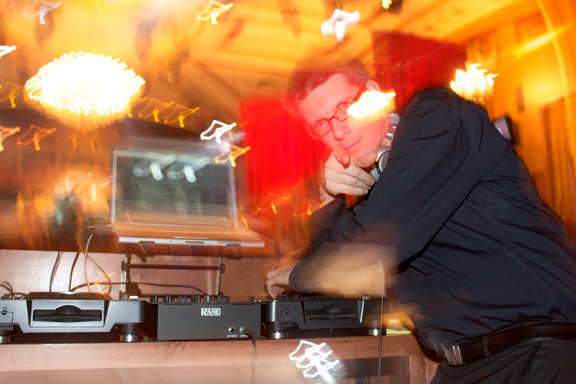 Become a fan of our Facebook, Twitter, and Blog pages to remain updated on the Lethal Rhythms latest news and events!